AccuMail Move™ is an indispensable tool that will keep your address database current as your customers move, utilizing the very latest NCOALink™ and ANKLink™ information from the USPS®. Around 1 in 7 individuals, families and businesses change their addresses every year. That can have a serious impact on the quality of your database. Best practices for address quality should include periodical Move Update processing, to ensure the accuracy of your data over time. Additionally, USPS® rules require that all mailers, both First and Standard Class, update their addresses through an approved "Move Update" process to qualify for automation and other discounts. AccuMail Move™ is a great way for you to comply with these new rules, while keeping your database current. It is easy to use, simple to understand and extremely fast! There are no obligations, annual fees or subscriptions. AccuMail Move is available for both our Toolkit customers as well as those that use the AccuMail frameworks interface, where it is accessed directly from within the software. When the name and address information on your mailing list matches the name and "old" address information on the NCOA (National Change of Address) database, you will receive the new address, for any moves made within the past 18 months. ANKLink - ANK stands for "Address Not Known" - is an enhancement to this process, giving you an additional 30 months of change-of-address information. 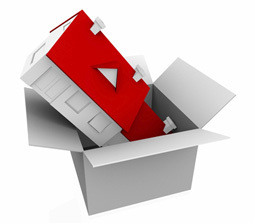 The ANKLink data will not return the new address, but will flag every move that has occurred in months 19-48, along with the move effective date, return code, and match type. The NCOALink and ANKLink data sits on Datatech SmartSoft's secure servers, so there are no monthly updates or separate datasets to install. We never see your data - the entire process happens seamlessly and securely! So don't lose your customers and associated revenue when moves occur - make AccuMail move an integral part of your data quality practices. Let us show you how easy it is to use - request your demo today! * USPS NCOALink regulations require a 100-record minimum for processing. Datatech SmartSoft is a non-exclusive Limited Service Provider Licensee of the United States Postal Service ®. Its prices are not established, controlled or approved by the USPS. All payments shall be made directly to Datatech SmartSoft. The following trademarks are owned by the United States Postal Service®: NCOALink, USPS and United States Postal Service. ** Unlimited option is subject to a fair usage policy cap of 1/2 billion records in a 12-month period.